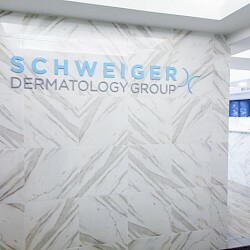 Jaclyn Guarino is a nationally certified physician assistant practicing at Schweiger Dermatology Group in Garden City, Long Island. Jaclyn received her Bachelor of Science from Fairfield University in Fairfield, Connecticut and went on to earn her masters in Physician Assistant studies from Hofstra University in Long Island. Jaclyn is a member of the American Academy of Physician Assistants and the New York State Society of Physician Assistants.